In cultural planning there is a discussion about "naturally occurring cultural districts" and in supportive planning for older people there is an equivalent, "naturally occurring retirement communities" for aging in place initiatives. The basic point is that elements of urban form, the built environment, and economic and social conditions can combine in ways that support the natural formation of such districts. 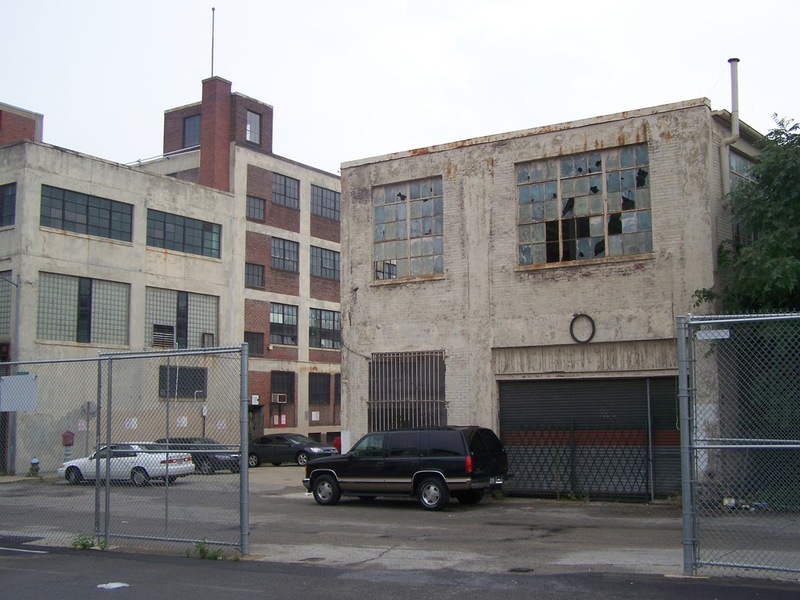 With arts districts, it's low cost buildings with conducive spaces ripe for reuse, in the right location, often stoked by the presence of one or more anchors. There are hundreds if not thousands of examples in North America and Europe. -- Montgomery, John. "Cultural quarters as mechanisms for urban regeneration part 1"
-- Montgomery, John. "Cultural quarters as mechanisms for urban regeneration part 2"
-- past blog entry, "Culture districts in Europe"
-- past blog entry, "Arts, culture districts and revitalization"
More recently, I came across the example in Helsinki of how the University of Arts and Design relocating to a waterfront district and the development of a creative industries and business design focus around that area as a result, whereas in a different neighborhood, developing out of a different kind of asset, an old manufacturing facility (Cable Factory) ended up supporting the a different type of arts-design district focused on smaller firms and creative expression and output of arts. Much of our understanding of support conditions for innovation comes from Jane Jacobs and her discussion in The Death and Life of Great American Cities and how vital cities need "a large stock of old buildings," not because she was a historic preservationist, but because older buildings are usually paid off and have lower running costs and rents than new buildings and start up businesses and creative enterprises seek low cost spaces in order to husband their capital. This is relevant to the question of supporting the development of tech districts in cities and the question of providing financial support to stoke it, which comes up in DC from time to time including discussion in a recent GGW post, "Where is the DC tech hub? It keeps moving." The MKSK Studios planning firm did a master plan for a tech district in Bloomington, Indiana last year (Master Plan and Redevelopment Strategy | Certified Technology Park), and I have written about open-air innovation districts in Arlington County along Wilson Boulevard and the move of tech companies back to the city such as Amazon to SoDo in Seattle, firms like Compuware to Detroit, and Twitter to San Francisco. Toronto and Columbus Ohio both have a "Discovery District" seeded with existing health, medical, and educational institutes. Toronto created an innovation institute called MaRS which originally was an acronym for Medical and Research Services, but now has a much broader mandate, as an anchoring asset. While New York City has a great deal of technology and financial resources, former Mayor Bloomberg did not believe that the city had strong enough engineering and technology development institutions. So he put out a tender for a large scale engineering, technology and advanced business college that will be delivered through a joint venture of Cornell University and Technion, the Israel Institute of Technology. 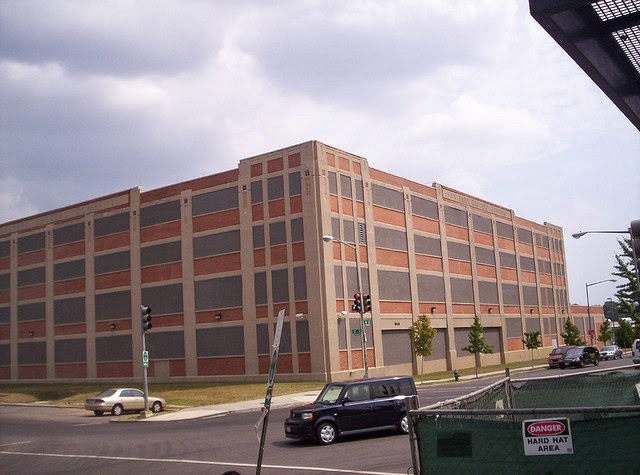 These buildings just east of the Red line and north of Rhode Island Avenue NE would be great for an innovation district but have been empty and held off the market for decades. DC because of its unusual historical (limited manufacturing which in the late 1800s and early 1900s was often based in large building complexes in center cities; and in DC, height limits making buildings small) and current real estate conditions, tends to (1) lack lots of under used large buildings and either (2) has high rents, not low rents or (3) the buildings are rented for other purposes (mostly charter schools, which don't have to pay property tax) or (4) held off the market pending redevelopment plans. Plus (5) we don't have the best anchors. Organizations like the National Institute of Science and Technology (NIST) or the National Science Foundation were once based in DC but moved out into the suburbs, and our universities don't have strong engineering and computer science programs, and/or aren't super well located. Sanitary Grocery Company warehouse. On 4th Street NE at T Street, Eckington, adjoining the Union Station railyard, in the vicinity of the old B&O Freight Terminal. The Sanitary Grocery Co. was acquired by Safeway in the 1920s. DC and the Metropolitan Branch railroad corridor as the basis of a naturally occurring innovation district in DC. Rather than trying to build such districts fresh, like what DC is trying to do with St. Elizabeth's east campus ("District officials woo Microsoft for St. Elizabeths east campus," Washington Post), I'd focus on building on the assets we already have--unless you are going to go all out with a Cornell-Technion type venture. From the standpoint of "naturally ocurrring tech districts," in DC the best place is along the railroad tracks, from Union Station to Fort Totten, because that's where the largest number of older style distribution warehouses are located, except that most of the buildings have already been captured for other uses, or the sites are being redeveloped. That could include the area around Gallaudet University, even the industrial district where BET has their studios just north of New York Avenue. This includes the area of the Union Market, where some buildings, like General Typography have been used for innovative-arts uses for a long time, but an innovation district never developed. It also has Red Line subway service, but is very limited in terms of "amenities," which is a major drawback--although the Union Market district's relaunch is changing that significantly, at least in the NoMA district area. And Catholic University has a large tract west of Harewood Road that they've considered for the development of a research park, plus there is space at the Armed Forces Retirement Home too. Liverpool offers an example that DC could learn from, both in terms of branding a district as for innovation--theirs is called the Knowledge Quarter (Strategic Investment Plan, Liverpool Knowledge Quarter), but they are also developing a Science Park as an element, to join various university, medical, and research elements already present. Normally, you'd expect such a district to develop out of a mix of old and new buildings. Maybe to develop such a district here, we'd have to build some new buildings and subsidize the rents. You work to recruit institutions to that area, and work to attract research organizations there, and build up the relevant departments at the schools that are already present. Along the tracks, cutting a wide swath, you have some potential educational and medical anchors--Gallaudet University, Catholic University, Howard University, and the Washington Hospital Center. Perhaps the best way to seed it would would be through the creation of an anchoring institution, as a joint venture perhaps between Howard University, Catholic University,Gallaudet University, and the Washington Hospital Center. Not unlike MaRS in Toronto or what the State of Virginia did, by creating the Center for Innovative Technology ("Dulles trapezoid could be anchor for development," Washington Post), located in Loudoun County, as a way to support and center technology business development. Conclusion. Building on what we have is a lot less expensive and likely to happen a lot more quickly than trying to create an innovation district in Ward 8 on the St. Elizabeths campus. What would have been better was former mayor Anthony Williams' proposal to move UDC to the St. E's campus. It was seen as a slap in the face--that the minority students who make up the bulk of UDC's enrollment "aren't good enough" to go to school in an Upper Northwest location. But I thought it was an awesome suggestion. The St. E campus is beautiful, while UDC is an urban brutalist monstrosity with little of the architectural charm that many of us associate with university life. St. E's campus offered an opportunity to reboot UDC in significant ways. And likely will never happen. 1. Brand that area the city's innovation district and create a plan and an implementation organization. 2. Create an agreement with CUA to start the development of the research park on the land they got from AFRH. 3. Create an agreement with Howard University, HU Medical School, Washington Hospital Center, and CUA to add HU Hospital to the Medlantic Hospital Network and work to create a broader research and medical innovation agenda. 5. Create an anchoring institution comparable to the MaRS Institute in Toronto and the CIT in Loudoun County, Virginia as the first element of the Innovation District science park.